Bad posture and slouching can cause back pain, neck tense and headache. Reasons for bad posture can be heavy backpacks or looking down on your phone too often. Of course it is essential to have some kind of posture corrector in order to stay healthy and feel good. Thanks to the smart technology wearables there is a technical solution to get rid of a bad posture very easy. But please check out these smart posture correctors for men and women which help you to improve your posture. 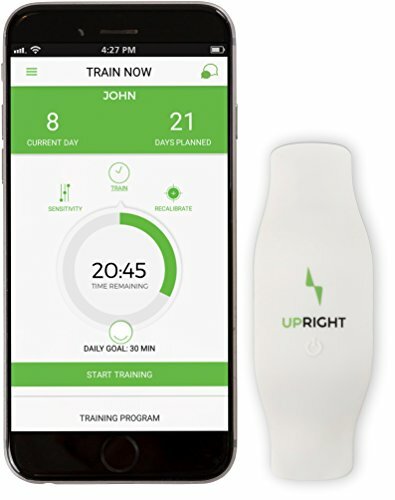 Upright is a wearable posture trainer that vibrates when you are slouching. Switch on the device and connect it to your phone with Bluetooth. Attach the Upright posture trainer to your back with the included adhesives. Once attached you can start with your posture training. Every time you are slouching, a vibrating alarm will remember you to sit or stand straight. This is how Upright will help you to learn your new posture habit. The posture coach has a battery life of over 5 hours when training. Lumo Lift is a smart posture coach which helps you to improve your bad posture. Just attach the Lumo Lift onto your clothes and save your posture goal. Once the posture tracker identifies that you are slouching, the Lumo Lift will vibrate and notice you to sit up straight. 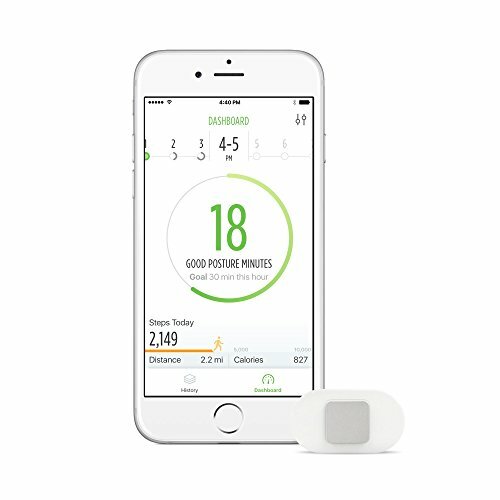 Moreover, Lumo Lift does not only track your posture habits but also your steps and distance traveled. To take a look into technical details, Lumo Lift is compatible with iOS and Android devices. Attaching the posture coach to your clothes is easy with the magnetic clasp. According to the manufacturer, a single charge will last around 1-2 days. Because Lumo Lift is not fully waterproof, you should not wear it while swimming and you should not submerge. Lumo Lift will only correct your bad posture when you sit or stand still. Vibrating notifications are not active during active body movements. The Alex is a device that you put on the back of your neck. Once it is placed there, sensors inside will track your neck angle and position. If your head position is not ideal for more than a few minutes, Alex will notice you with a gentle vibration. So what kind of bad postures can Alex detect? See Video below! Similar to other posture trackeres, you progress is visible in the mobile phone app. Darma is a smart cushion that detects bad postures, recognizes your sitting habits and even measures your stress levels. 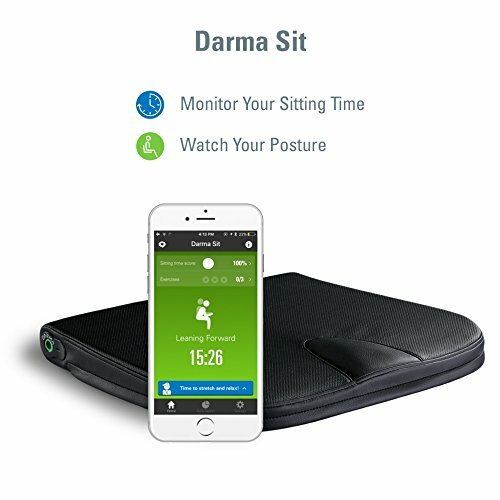 Sensors inside the Darma smart cushion detect when pressure distribution is not ideal. An alarm on your phone will notice you to correct your posture. It even will alarm you when you were sitting too much. According to Prana, the “Prana is the ultimate stress relief wearable”. 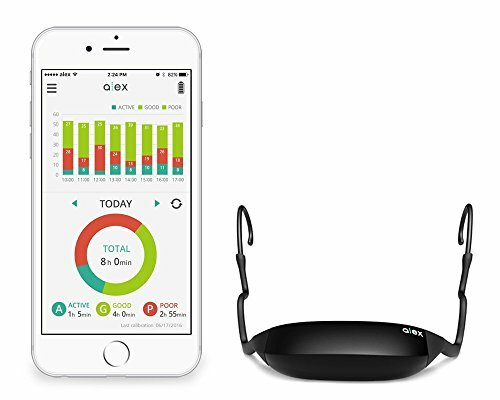 In difference to the other wearables shown here, Prana measures not only your posture but also your breath. Studies show, that a trained breath can improve your overall stress related illnesses. Men and women both suffer from bad postures. The devices above may help you to improve your posture more quickly. A legitimate question you might ask is, how much time will you need to train for your perfect posture? Some people say, it takes around 21 days to create a new habit. Others say it takes around 66 days and so I guess somewhere in between is basically the time you will need until you have learned the perfect posture. Finally I am very interested on your experience, which posture corrector do you think is the best? Please share your thoughts below in the comment section.